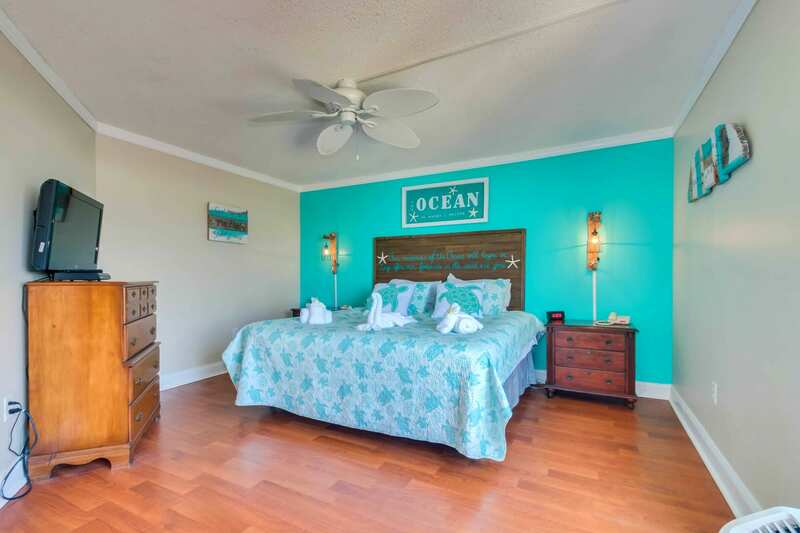 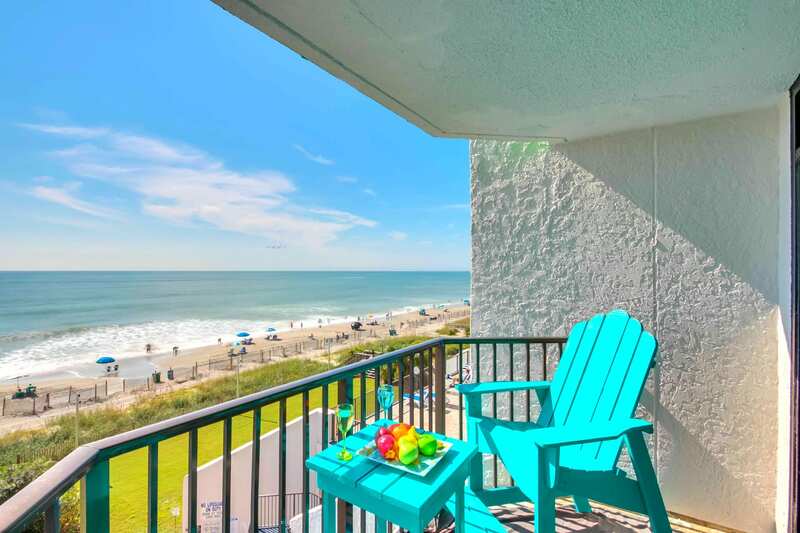 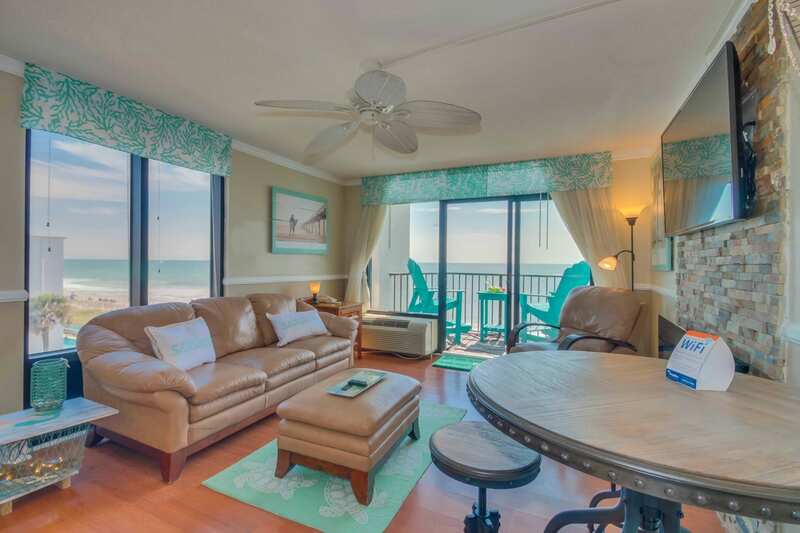 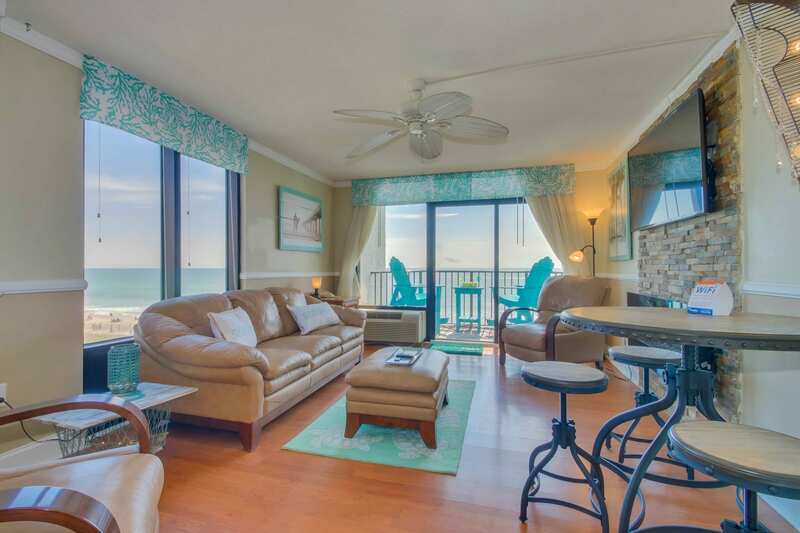 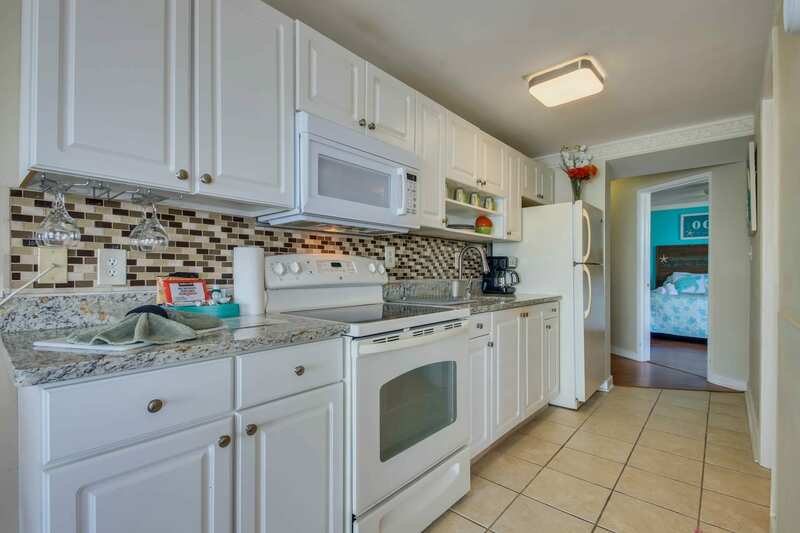 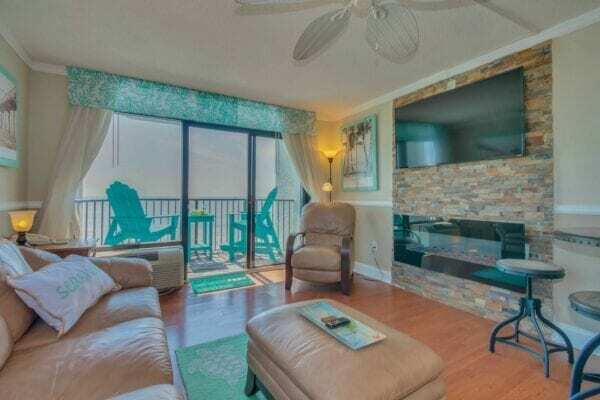 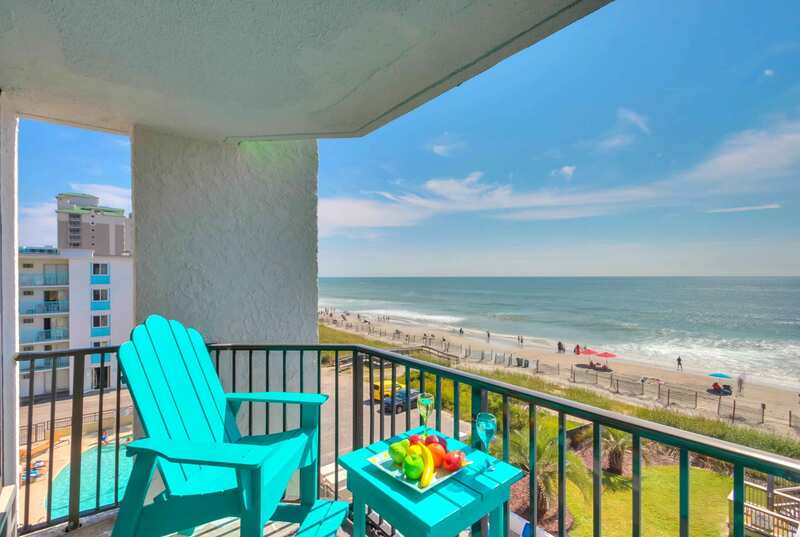 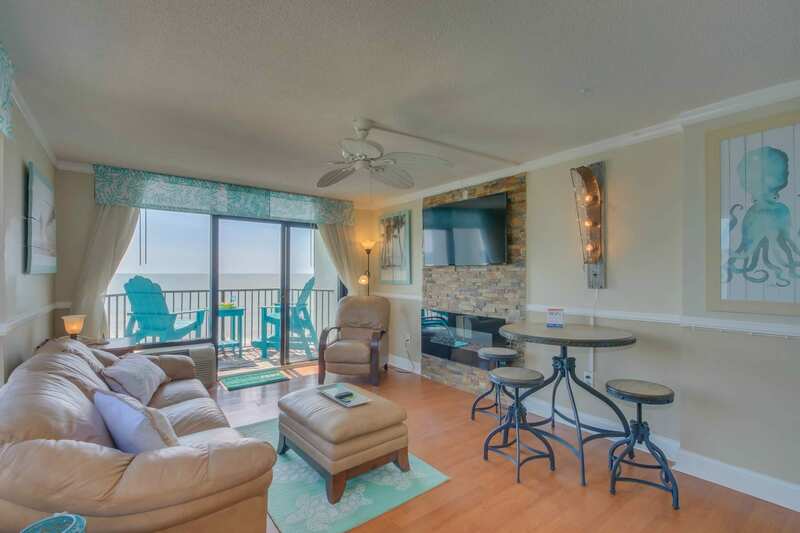 ROCK FIREPLACE, 55″ TV, LEATHER SLEEPER SOFA, 2 RECLINERS, MURPHY BED, HIGH TOP SITTING BALCONY FURNITURE, CUSTOM FLOORING, BEACHY DECOR, FULL KITCHEN WITH NEW GRANITE COUNTER TOPS, KING PLUSH BED, FLAT SCREEN IN BEDROOM , HUGE CLOSET SPACE, SLEEP MACHINE. 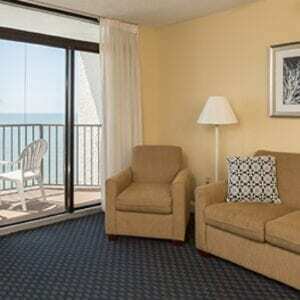 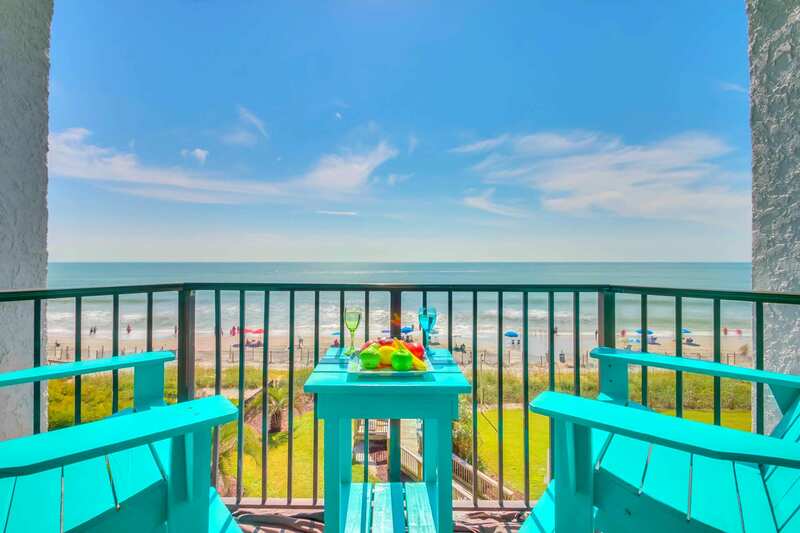 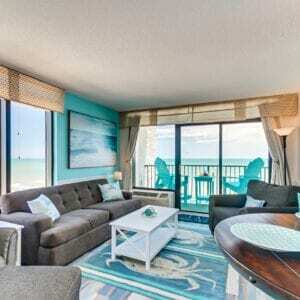 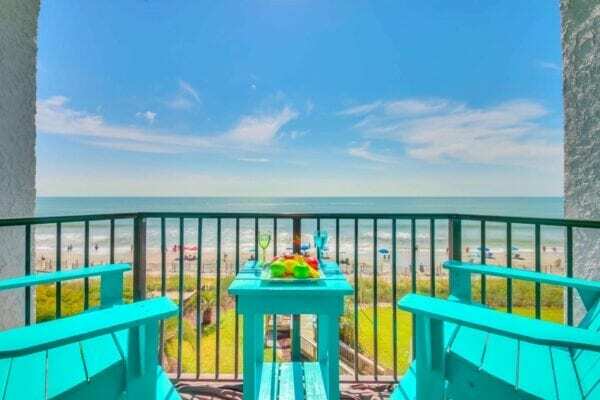 THIS IS A MUST SEE UNIT..4TH FLOOR, BEST FLOOR, NOT TO HIGH NOT TO LOW, EYE TO EYE WITH OCEAN.. 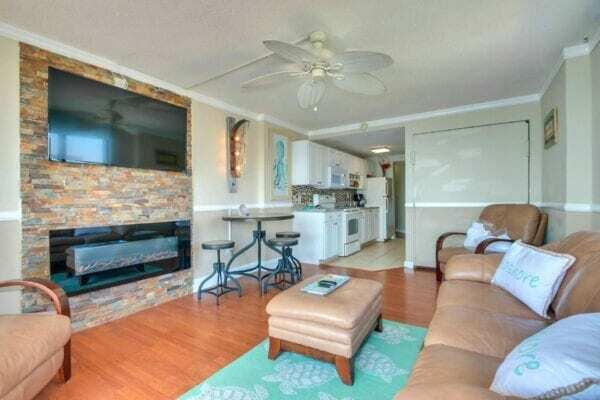 CORNER UNIT..THERE ARE VIEWS FROM EVERY SINGLE ROOM AS THIS IS ONE OF THE ONLY ONE BEDROOMS THAT THERE ARE ACTUALLY HUGE WINDOWS FROM EVERY ROOM.. ALSO THIS IS ONE OF THE FEW ONE BEDROOMS THAT IS SET UP LIKE A CONDO AS IN YOU WALK INTO A HALLWAY AND THE BEDROOM IS IN A SEPARATE ROOM. ALSO THERE IS A WASHER AND DRYER IN THE UNIT WHICH IS A BIG HIT FOR GUESTS. 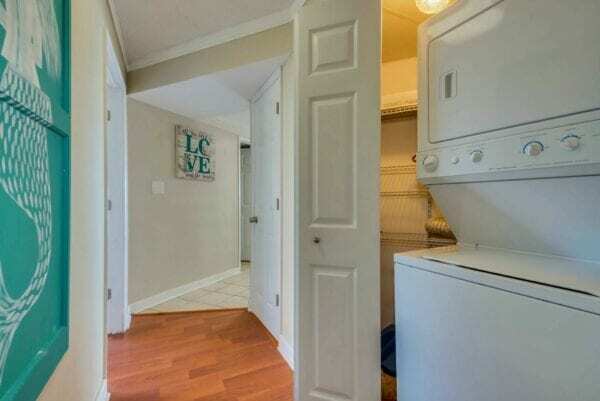 UNIT IS VERY SPACIOUS FOR A ONE BEDROOM. CUSTOM FLOORING THROUGHOUT , FULL KITCHEN WITH BACKSPLASH, CEILING FANS IN BEDROOM AND LIVINGROOM (RARE), CROWN MOLDING AND CHAIR RAILING, STAND UP SHOWER, KING BED IN BEDROOM, PULL OUT MURPHY AND SLEEPER SOFA. AND THE VIEW..WHAT A VIEW, THE BIG BAY WINDOWS FROM BEING A CORNER END UNIT REALLY SEPARATES THIS UNIT FROM OTHER UNITS.